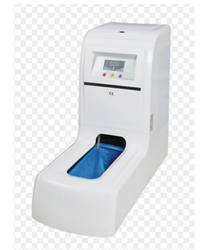 We are a leading Manufacturer of surgical shoe cover, shoe cover, latex examination gloves, pharma use shoe cover, shoe cover automatic dispenser and veterinary gloves for surgical use from Thane, India. 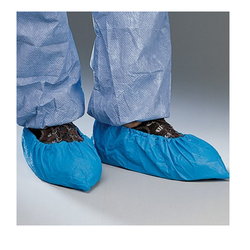 We are offering a quality range of Disposable Plastic Shoe Cover. 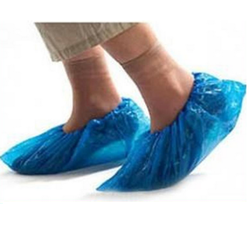 Disposable HMHD Plastic Shoe Cover comes with universal fitting, to make sure that these can be used by anyone. These are available at very reasonable price in the market. 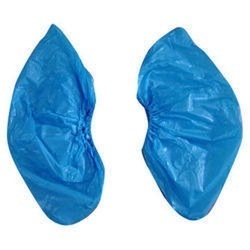 Our clients can avail from us a wide range of Shoe Cover. We fabricated these machines making use of optimum grade sourced from famed vendors of the market. To meet up to the quality parameters set by the industry, our professionals follow all the guidelines set by our experienced professionals. This range is offered by us in various specifications, sizes, and designs to meet the variegated requirements of our clients. 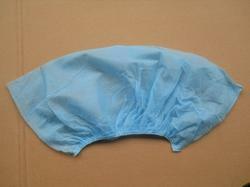 The Surgical Shoe Cover made available by us in the market, are considered amongst the finest in the league. Because of the finest raw materials used in its manufacturing, the offered product is durable in nature and has a commendable strength. In addition, it is marked at the best rate possible. 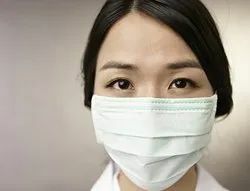 In order to provide maximum satisfaction to our clients, we are manufacturing Shoe Cover using the finest raw materials and modern machinery. 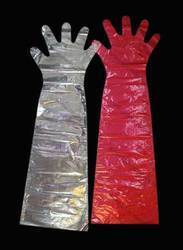 Owing to this, the offered product has a longer lifespan and has high tearing strength. In addition, the offered product is marked at the best rate possible. 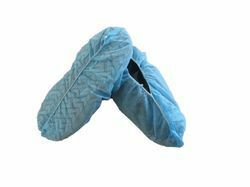 Manufactured using the finest raw materials and machinery, the offered Surgical & pharma use Shoe Cover is considered to be amongst the finest options available. Manufactured in compliance with the set industry guidelines, the offered product’s quality never deteriorates. In addition, the offered product is marked at a market leading rate, making it highly asked for. 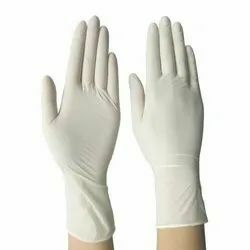 We are the leading supplier of 36" Veterinary Gloves made from high quality material at competitive prices. 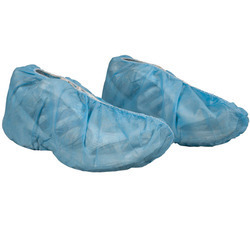 Looking for Surgical & pharma use shoe cover ?